20 oz. 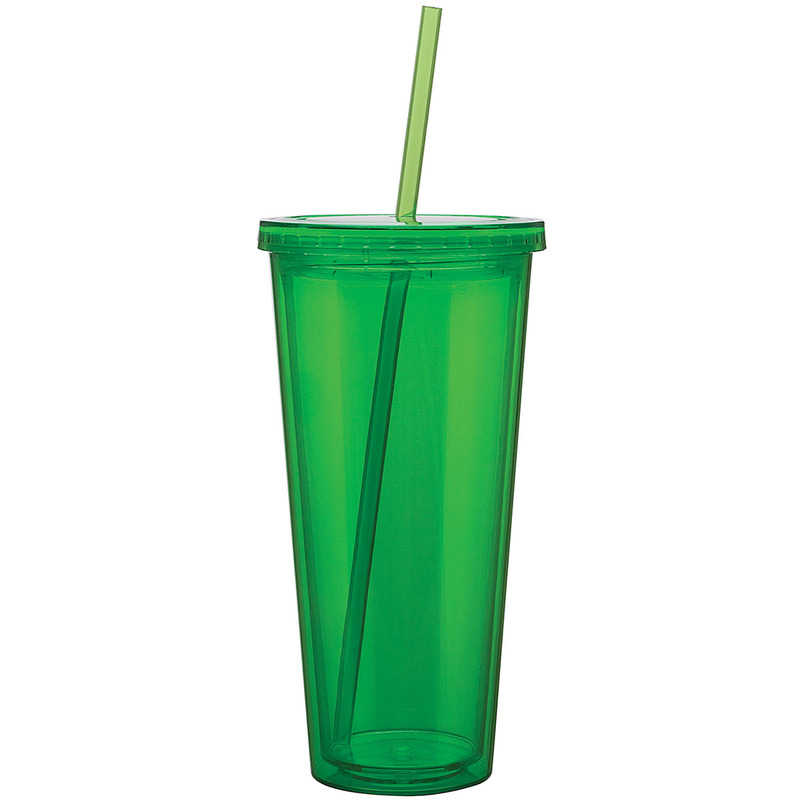 acrylic double wall tumbler with threaded lid and matching straw. Imprint Area: 4.5" x 3.25"